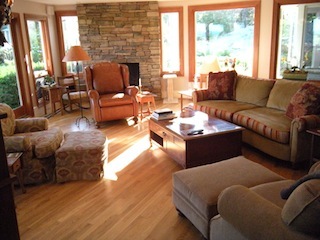 It's okay to give different rooms in your home it's own identity, as seen here. 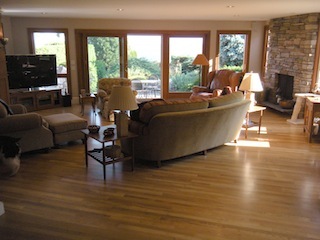 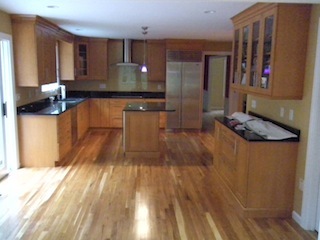 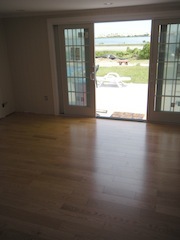 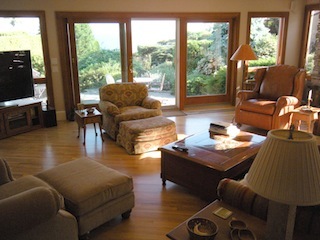 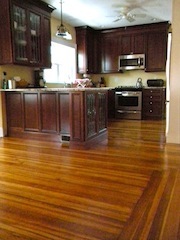 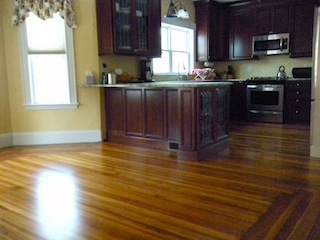 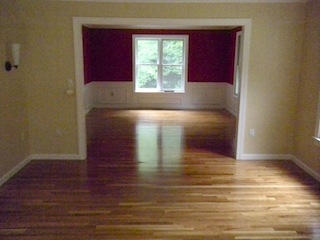 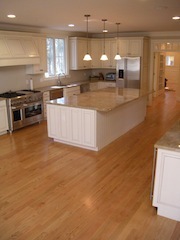 3 1/4 wide Red oak flooring runs throughout the first level of this home. 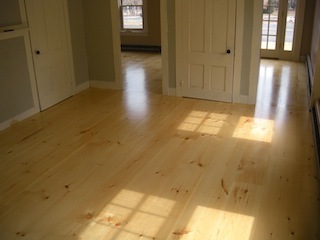 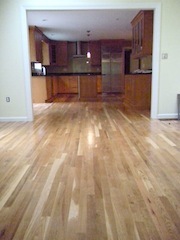 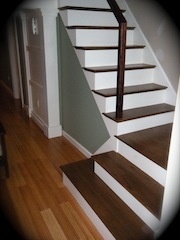 to have residential woodflooring like these. 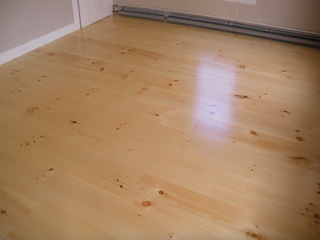 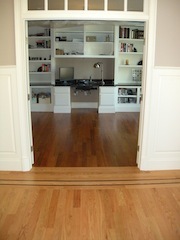 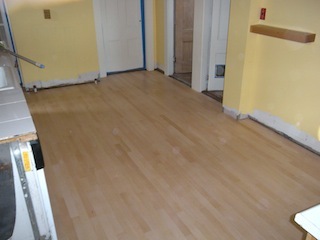 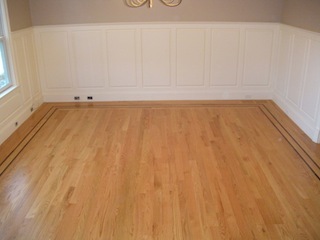 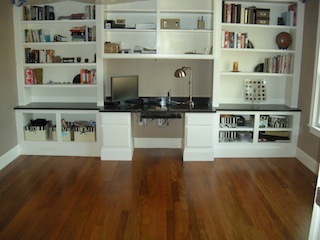 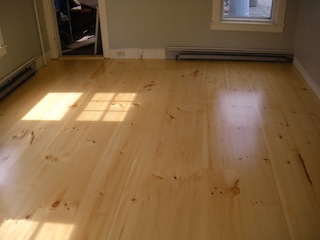 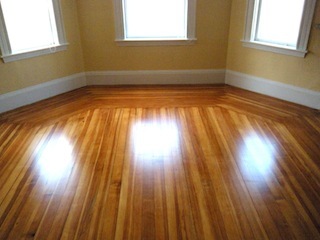 Just contact us and we'll make your floors look like these. 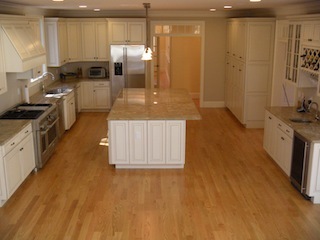 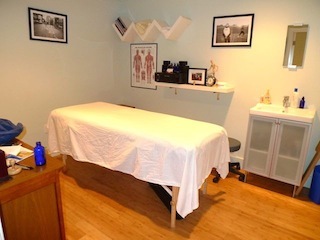 in this 650 sq. 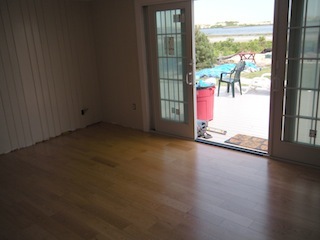 ft. great room of this waterfront property.